The R&S®GB4000V is a remote audio unit, designed for use in both civil and military applications. 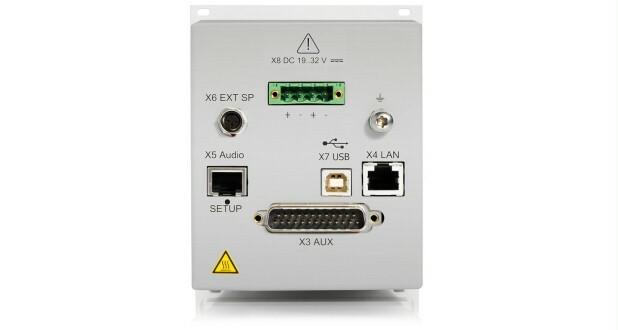 It is ideally suited to small ATC systems where a dedicated voice switch is not present. The R&S®GB4000V provides audio, PTT and squelch to and from radios in a remote location. The unit is compact and fits into any console. 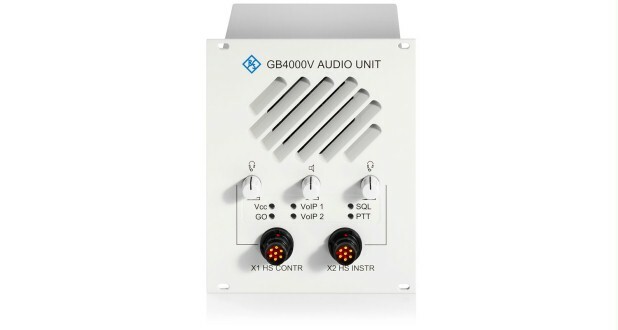 The R&S®GB4000V can be connected to the radios using 4-wire E & M (analog line) or voice over IP (VoIP). When connected using an analog line, either 4-wire E & M lines (PTT, SQ) or in-band tones for E & M can be used. The available tones are 2040 Hz (PTT) and 2440 Hz (SQ). 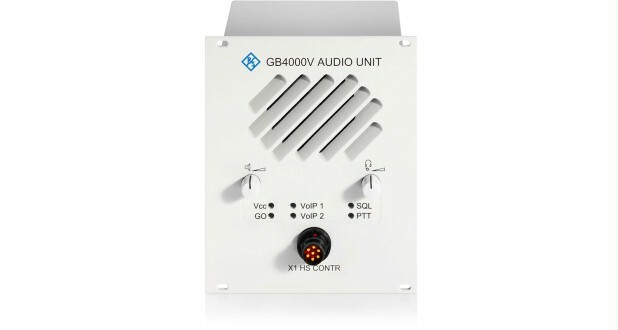 In-band signaling is handled by the R&S®GB4000V, thus eliminating the need for other external devices. When used with the R&S®GB4000T touchscreen control unit, the R&S®GB4000V can be connected to any of up to nine channels using R&S®Series4200 radios via VoIP.